Favourite-longshot bias does not adequately explain this behaviour since Mayweather offered what looked to be a clear value bet, yet sharp customers still did not come close to correcting the market (Mayweather’s true odds to win the fight should proabably have been in the region of 1.01). This was truly a market dominated by the most optimistic buyer. 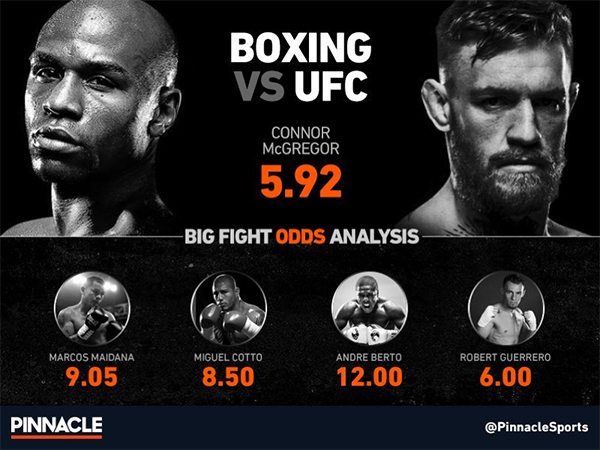 Ordinarily the sharper price-sensitive customer would have gone some way to correct this but, not unlike the housing and Bitcoin bubbles, the Mayweather backers were easily outweighed by optimistic McGregor bettors. Perhaps anchoring bias could ensure that bettors have not looked too deeply into the reasons behind this and the price has not yet been corrected. As Marco says, traders are not necessarily more informed than bettors – so finding isolated cases where markets have not been able to correct themselves could offer value. Luke Petty studied Economics at The University of Exeter before embarking on a career that combines two of his greatest interests, writing and sports betting. Despite a keen interest in soccer, he is open to exploring any sport where value might be present. He particularly enjoys analysing markets from different perspectives to try and find a profitable edge. No Thoughts on What can sports bettors learn from economic bubbles?